As a Good Cook blogger I am excited to share with you all some great knives I was given to review, as well as a great enchilada recipe! So instead of chatting away I will get right to it. I was sent the six knives above to try out. 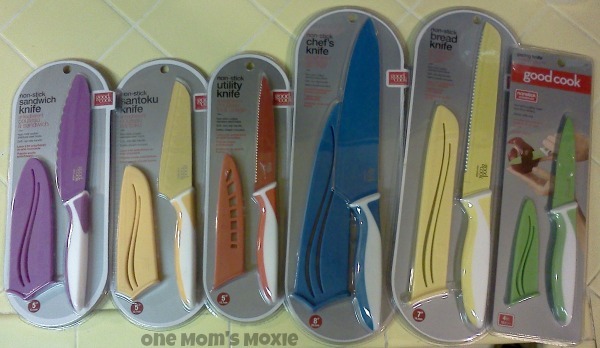 I have used every knife except for the utility knife, but I look forward to using it! 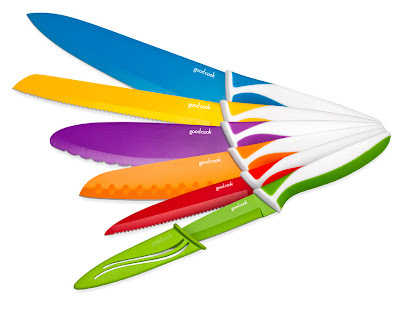 These Good Cook knives are the sharpest, most durable knives I have ever used. I like that they all come with a safety sheath, that helps keep the blade safe from any damage. My mom and I started the chicken enchiladas buy boiling whole chicken breasts, we boiled about seven or eight. While boiling we included some seasoning like garlic salt, black pepper, seasoning salt, and a couple others. You can basically add any seasonings that you prefer. 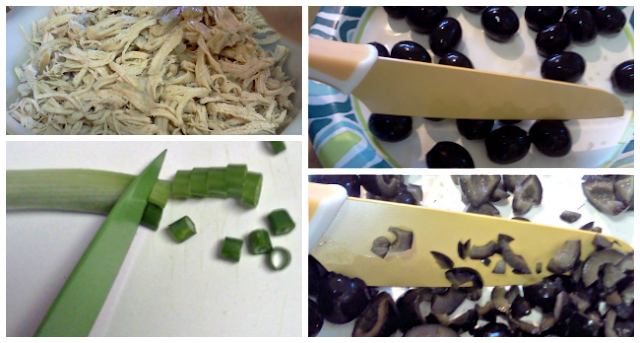 After letting the chicken cool my Mom shredded all the chicken, and I started chopping the olives with the Santoku knife. I then went onto cutting up the green onions with the paring knife. Heat up the tortillas, corn or flour is your own personal preference, then get ready to start rolling. Get the shredded cheese, tortillas and shredded chicken ready next to each other. 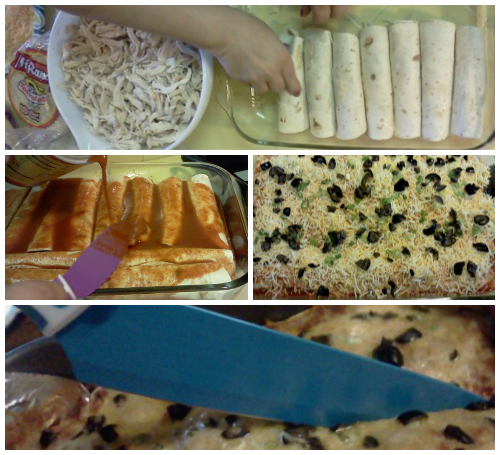 Then take the tortilla, grab a small handful of cheese and chicken and put into the tortilla and roll. Once you have filled the dish, use a red enchilada sauce to cover the enchiladas, I used the sandwich knife to make sure the sauce was spread all over them. Then cover with cheese, the green onions and olives. Bake at 350 degrees for 30 minutes. Depending on your oven you may need to add or take away time from that. I let mine cool then sliced them with the Chef's knife and served. All the Good Cook knives I received are nonstick and have worked wonderfully! Make sure to check out our Good Cook Treasure Hunt beginning on April 16th.